Lake Anna is a Wreck! This shot is a school of Stripers that we worked today. 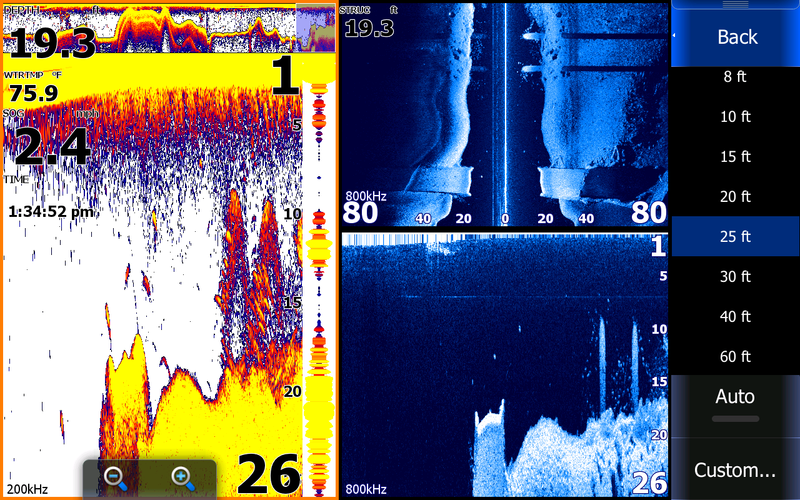 You can see the arches on my sonar page and see nicer fish on my down scan. My side scan [upper right screen] shows fish on both sides of the boat but more fish are to the right. I actually turned to the right after taking this pic and had 5 rods hook up all at once. If you look up on my sonar page in my history [the space to the right of the 31.0] you can see we were on fish for a while but we were just coming into the heart of the school. This is a picture of us going under a bridge. 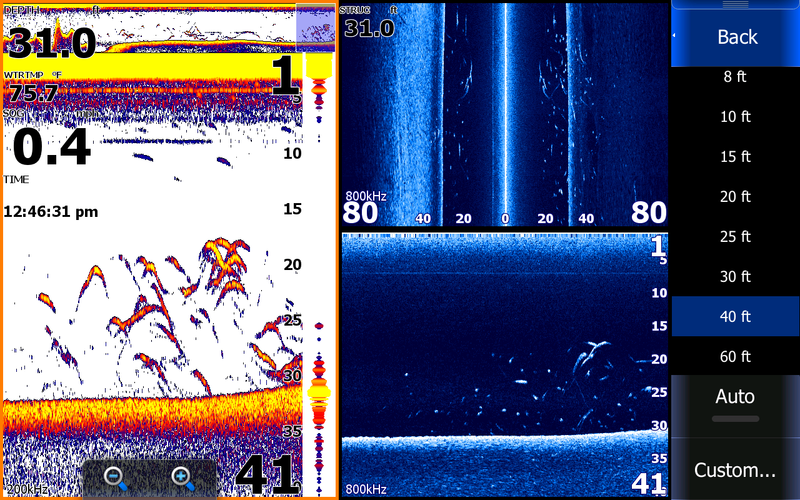 My sonar shows Herring from the surface down to 15 feet with a few Gizzards underneath them. I was fairly close to a piling so my down scan with a broader cone angle actually picked up the piling on the right. My side scan shows a sunken boat between the pilings laying on the bottom of the lake. You can click on the picture and it will enlarge. This picture was taken after going over a road bed that parallels Stubb's bridge. 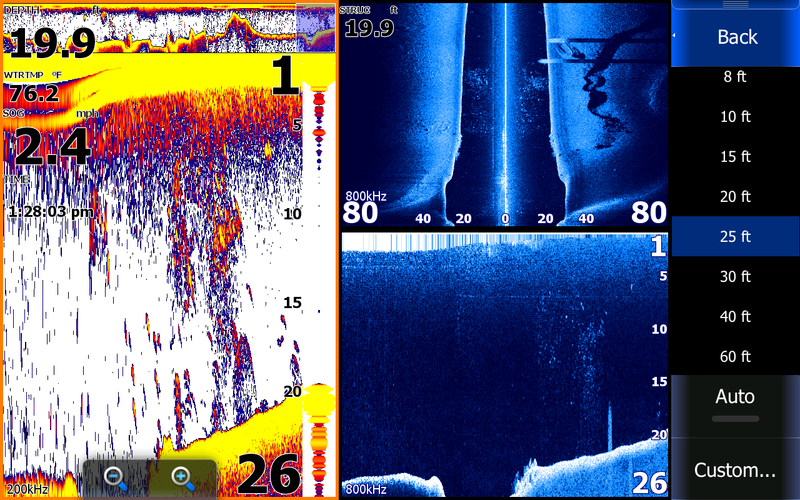 On my sonar page from left to right is deep water coming up onto the old road bed with a couple of fish above the road, then schools of bait with some crappie in it. My down scan shows the road bed along with the guard rails on the edges of the road, then two pilings with crappie between them. Crappie are hugging the bottom. My side scan shows the submerged road bed with the guard rails, a rock vein between the old road and the bridge piling and a school of bait just outside of the last piling.